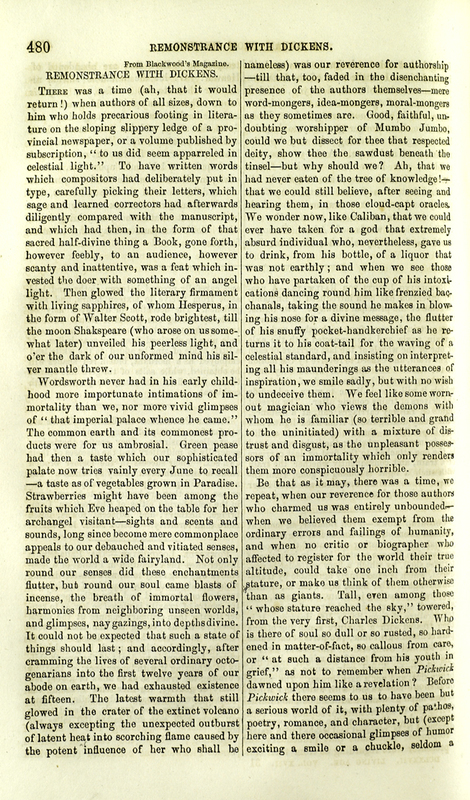 Littell's Living Age, a weekly literary periodical, was published in Boston for nearly 100 years, beginning in 1844, and continuing through 1941. George Stott. "Charles Dickens." Littell's Living Age Mar 20 (1869): 707-. 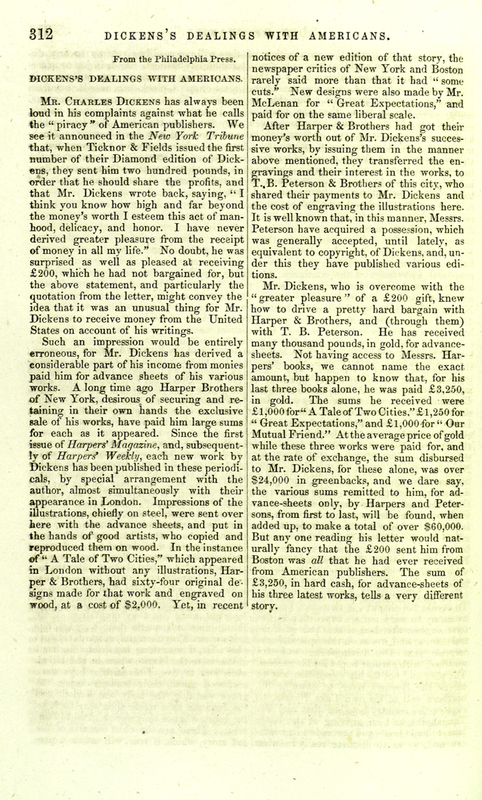 "Dickens’s Dealings With Americans." Littell's Living Age May 4, 1867 (1867): 312-. 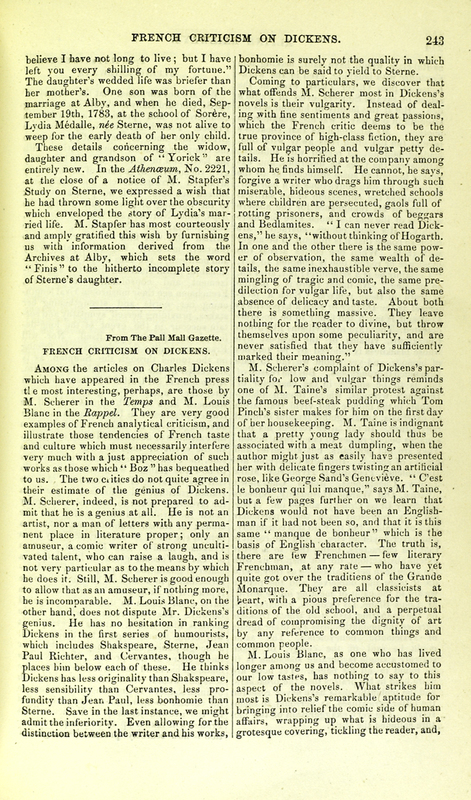 "French Criticism On Dickens." Littell's Living Age July 23 (1870): 243-. 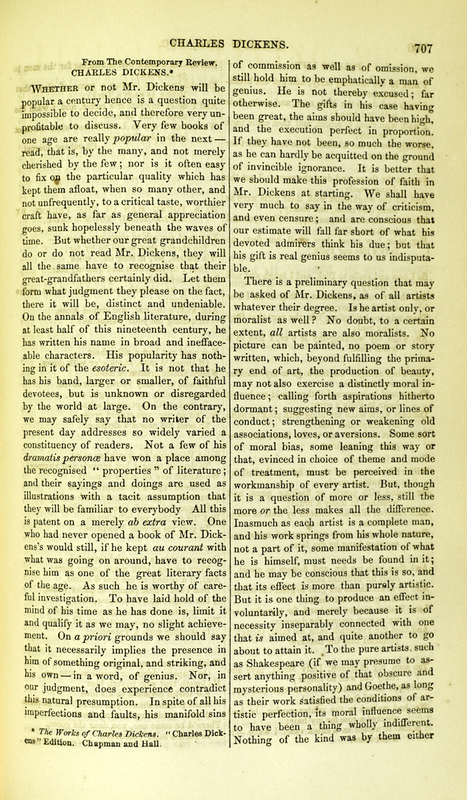 "Remonstrance With Dickens." Littell's Living Age May 23 (1857): 480-.